Thanks to the Internet, we are now able to instantly communicate with almost anyone around the world. 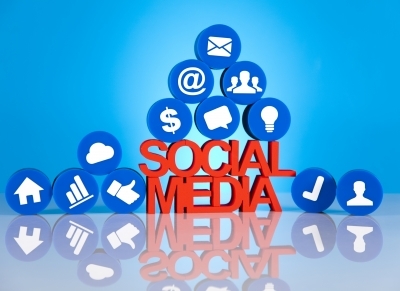 Social media gives marketers a voice to communicate with customers and potential consumers. It personalizes the “brand” and also helps you to spread your to the world in no time. This has many advantages, but among the biggest ones, especially for the owner of a business, is the ability to easily communicate with your customers through the social networks like Facebook, Twitter, LinkedIn, You Tube and many more. If you are just starting off with your brand new business and are in desperate need to promote it quickly, the social media is where you should start. Just ask anyone from the DWP and you will likely get the same answer. Here are a few tips on how to promote your business, using each of the most widely distributed social networks. Almost everyone has a Facebook page these days. But you should never use your own personal page to promote your business. You should instead create a business page, where you can post special offers (weekly or monthly is best) to anyone who Likes your page. There are also many other things you can do with a Facebook page that will attract customers. You can, for example, post polls that ask them fun questions, related to your services or your products. If you sell clothing, for example, you can start a poll asking clients what color shirts they prefer to wear on the first day of spring. Ask people to share pictures, which show them using their favourite product that they bought from your shop or your website. Twitter is a very fun social network, and is also one of the best ways to make people interested in you. Some good things you can do to help your business with Twitter include Tweeting interesting or unusual facts, related to your business or products, and providing a link to the given product page on your website. Sending out short tips on how to use your services or products. Tweeting pictures, related to you or your business to your Twitter followers. YouTube is like television which can be broadcasted by anyone, which makes it a great alternative to paying lots of money for expensive ads on your regular television. To promote yourself here you should create a YouTube channel for your business, where you can regularly add fun and useful videos, and afterwards encouraging people to share them with others. Every week or so, post a short video of yourself, offering advice and tips for your customers and/ or demonstrating the product that you sell. Ask customer to upload videos of how they use your product or service and let others vote on their favorites. LinkedIn is probably the best network for people with a professional occupation. The first thing you should do here is to create a LinkedIn profile and then add links to your website. Also make sure to constantly update your profile with new links, product reviews, etc. Other helpful things you can do here include joining LinkedIn groups that are, or may be, popular with a large number of your clients and frequently post questions and comments, related to the products or services you offer. Asking your customers, vendors, or business associates, in your network to provide recommendations for you or your business around LinkedIn. Searching the Answers section regularly to look for questions you can answer about your business, because frequently answering questions, rated highly by the other users will earn you the title of Expert in the particular topic. By taking advantages of all of these ideas combined, you should be able to effectively promote your business around the social media. It always depends on what audience you target. One social media site attracts a certain type of users while another one attract another type of users. That’s why you need to know your customers in order to streamline your marketing. Each social media network is different and can be used for specific objectives. Social media websites are essential tool for business and marketers in modern days, Thanks for sharing your tips on how to best utilize each social media website to market your business. Glad you enjoyed the post, Usman. Nowadays, social media sites are the best tool for business marketing. Most of people prefers it for their business marketing caused of easy, effective and targeted marketing. Social media marketing is great also because is free or low cost. You can really expand the audience of your business with social networks available. Hey,Social media marketing is common these days. Every business man with a website is trying to promote his/her business through social media marketing. It also gives you the best publicity you can get than any other paid methods. Nice post.. Really Social media is a best way to maintain the relation with your customer directly. With the help of social media we can reach the large audience very quickly. Promoting the business through facebook and twitter can really be fun and easy to market your product and services. Marketing can be even fun! Above all from social media. Thanks for this essential post. This social media tools are well maintain our lead engage and more exposure about audience relationship also. Great post! !Social media for small business can be extremely powerful if used correctly. I agree that social media and services like Facebook and Twitter is one of the most powerful tools that small businesses have to make connection with their potential customers, which ultimately help in generating sales of their product and services. Thanks a lot for sharing this awesome post – really helpful!